Oliviér Roy talked recently to Eren Gvercin about issues central to the debate about Islam in Europe, from revolutionary milleniarism to Muslim Lutheranism. Roy’s recent books include Islam Confronts Secularism and Globalized Islam. 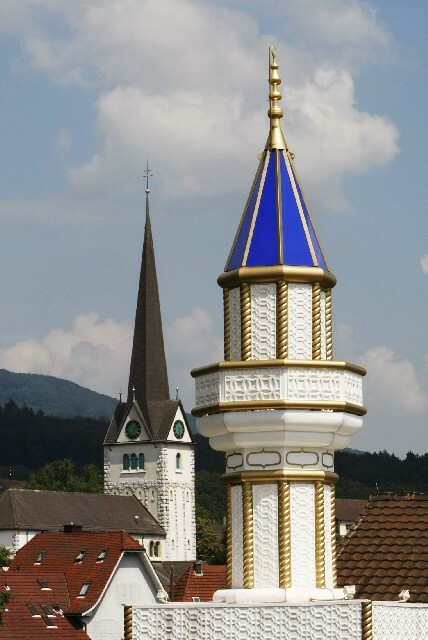 NPQ | The Swiss majority voted for a ban on minarets; France and Belgium are deep in debate about banning headscarves. In Germany, too, the debate about Islam often verges on hysteria. Why are Europeans so preoccupied with religious symbols and “foreign” religions? Oliviér Roy | The debate in Europe has shifted in the past 25 years from immigration to the visible symbols of Islam. Which means that even people who oppose immigration now acknowledge that the second and third generations of migrants are here to stay and that Islam has put down roots in Europe. And the debate has made a peculiar shift: while the anti-immigration position used to be associated primarily with the conservative right, Islam is now under attack from both left and right, but for very different reasons. The right believes that Europe is Christian and that Islam should be tolerated, but as an inferior religion. While the constitutional principle of freedom of religion prevents it from banning Islam, it takes every opportunity to limit its visibility; the European Court of Human Rights, for example, did not step in to stop France banning the headscarf in schools. The left argues for secularism, women’s rights and against fundamentalism: It opposes the veil not so much because it is Islamic but because it seems to contradict women’s rights. So, as we see, behind the Islam debate are far more complicated issues: European identity and the role of religion in Europe. Although the left and right take very different stances on these issues, we are seeing the rise of new populist movements (such as Geert Wilders’ Party for Freedom in the Netherlands) which combine the two approaches, essentially siding with the right but using the arguments of the left. NPQ | You have said that fundamentalist groups like al-Qaida have nothing to do with Islamic tradition. But in Europe the fundamentalist ideology is regarded as the essence of the traditional thinking. How do you explain this contradiction? Roy | The sort of terrorism practiced by al-Qaida has neither a Muslim nor a Christian history. It is an entirely new phenomenon. If we consider its manifestations —suicide bombing, killing hostages, targeting civilians—these are all methods that were used before al-Qaida by other organizations: the Tamil Tigers, for example used suicide attacks; the extreme right in Italy was responsible for the Bologna bombing in August, 1980; and the al-Qaida video footage of the execution of foreign hostages in Iraq is a one-to-one “re-enactment” of the execution of Aldo Moro by the Red Brigades, with the organization’s banner and logo in the background, the hostage handcuffed and blindfolded, the mock “trial” with the reading of the “sentence” and the execution. Al-Qaida’s modus operandi and organization, the declared enemy of US imperialism, the recruitment of young Muslims educated in the West or converts to Islam, all this indicates clearly that al-Qaida is not the expression of traditional Islam or even fundamentalist Islam—it is a new understanding of Islam, cloaked in Western revolutionary ideology. NPQ | How do you explain the success of such radical movements or ideologies? Is it really linked to poverty and marginalization? Roy | No. No research has indicated any correlation between poverty and radicalization. There are far more Saudis than Bangladeshis in radical Islamic movements; in fact there are almost no militant Bangladeshis. I think that the current struggle is a continuation of the old confrontation between anti-imperialist movements based in the Third World with the West and specifically the US. Osama bin Laden says comparatively little about religion, but he does talk about Che Guevara, colonialism, climate change etc. Al-Qaida is obviously a generational movement, it is made up of young people who have distanced themselves from their families and their social surroundings and who are not even interested in their country of origin. Al-Qaida has an astonishing number of converts among its members, a fact which is recognized but has not received sufficient attention. The converts are rebels without a cause who, thirty years ago, would have joined the Red Army Faction (RAF) or the Red Brigades, but who now opt for the most successful movement on the anti-imperialist market. They are still in the tradition of a mostly Western revolutionary millenarianism that has turned its back on the idea of establishing a new and just society. The new movements are profoundly skeptical about building an ideal society, which explains the suicidal dimension also present in the RAF. NPQ | Some Europeans maintain that European culture is essentially a Christian culture, and that everything Islamic is problematic and alien for Europe. What do you say to this? Roy | They say this at the same time as Pope Benedict XVI, like John Paul II before him, is reprimanding Europe for rejecting and ignoring its Christian roots. The debate about sexual freedom, abortion, or gay rights is not a confrontation between Europeans and Muslims but between secularists on the one hand—who also exist in the Muslim community—and conservative believers on the other, whether they be Muslims, Catholics or Orthodox Jews. Europe is deeply divided about its own culture: secularists consider the Enlightenment (with its human rights, freedom, democracy) to be the true birth certificate of Europe, while certain Christian-oriented factions believe that the Enlightenment also led to communism, atheism and even Nazism. NPQ | Is there a risk of Islamophobia becoming a European reality? Roy | This, too, is a question of how we define Islamophobia. Is it just another definition for racism, and specifically racism against people with Muslim names, whatever their religious standing? Or is it the rejection of a religion? There are militant anti-racists who are against the veil—among the feminists, for example—and there are racists who think the veil is irrelevant because they regard Muslims as quintessentially other. What makes this so untenable is the lack of distinction between ethnicity and religion. Of course, the great majority of European Muslims originate from other cultures, but the connection between ethnic background and religion is dissolving—with Europeans converting to Islam and Muslims converting to Christianity. There are atheist “Arabs” and “Turks” and more and more Muslims want to be acknowledged as members of a faith community, but not necessarily as members of a non-European cultural community. We need to distinguish between “ethnic communities” and “faith communities,” because these are different phenomena which need to be approached in differed ways. NPQ | How should politics deal with these globalized religions which have drifted away from their cultures? Roy | I think that it is precisely these religions—rather than established institutions like the Catholic Church—that are most “successful” nowadays. It does not make sense to fight this trend, particularly in countries where freedom of religion is written into the constitution. On the contrary, we must shore up the separation of church and state by ensuring full religious equality—not in the sense of religious “multiculturalism” but with an eye to the conditions under which a faith community can freely exercise its rights—with a neutral and clearly defined form of religious freedom within the framework of existing laws. NPQ | The media frequently promotes a dialectic of “liberal” vs. “radical” Islam. What is your opinion on this terminology and the value judgement it implies? Roy | I do not think that a believer needs to chose a “liberal” interpretation of his religion to make him a good citizen. And I am not convinced by the call for an Islamic “reformation.” The people who are calling for a Muslim Luther never read Luther. He was not liberal in any way and he was also an avowed anti-Semite. The idea of adapting Muslims to fit a Western context has nothing to do with theology; it is much more about the individual practices and endeavours of the Muslims themselves. They try to reconcile their practices with the Western environment, and they find the necessary tools for this within the environment. In the long run these changes will translate into theological reform of sorts, but it makes no sense to associate modernity with theological liberalism. To do this is either to distort history or to rely on wishful thinking.